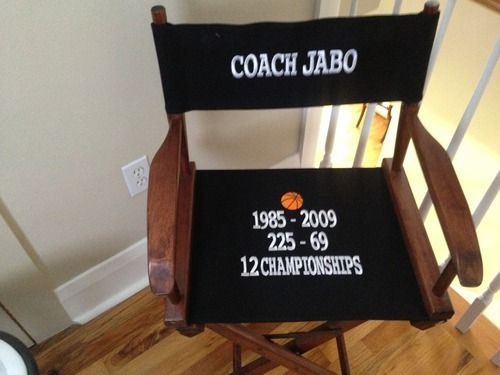 Coach Jabo coached basketball at Safety Harbor Middle School for 25 years. His blanket is a memento of all these years of coaching. “Coaching for 25 years, I saw many players move on and play on major college teams. Three of my boys even became players in the NBA. I just retired after 36 years of teaching, 33 years at Safety Harbor Middle and 25 years of coaching basketball. Many of my players are going to join me for a party to celebrate my retirement, our 12 championships and an overall record of 225 wins. 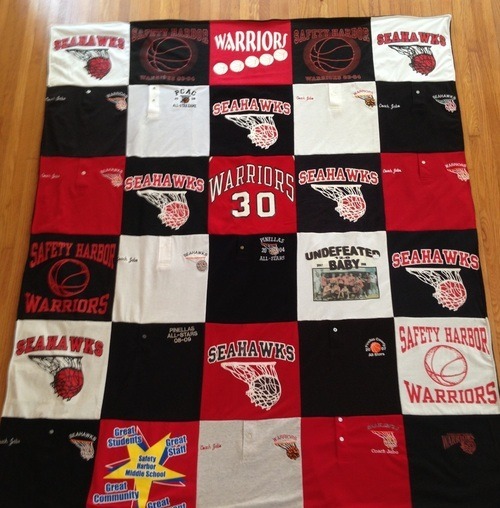 I will be handing out old game tapes, scorebooks and stat sheets and have my blanket proudly displayed.